As we survey the Belizean reefs it falls upon me to record the fish diversity and abundance. While most of the time the usual suspects appear, we will upon occasion have some unusual sightings. 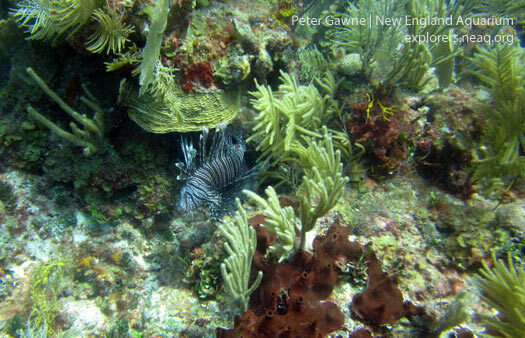 Unfortunately we are seeing more and more lionfish (Volitans pterois). These startlingly beautiful predators originally hail from the Indo-Pacific and have begun to colonize the Caribbean Sea and the East coast of the United States. [Aquarium divers have discussed the invasion of the lionfish here, here and taught students about this alarming situation here.] When we first began these transects in 2010 we saw one single lionfish in our survey of the reefs surround Carrie Bow and South Reef. Only two years later we have recorded many more sightings, often seeing a dozen or more on a single dive. 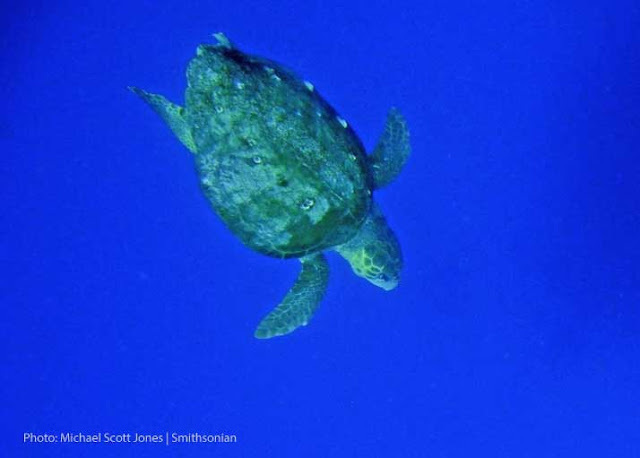 While certainly not a fish, we spied a large Loggerhead sea turtle (Caretta caretta) on one of our South Reef surveys. This rather large reptile did not stay with us long, and headed out for deep water soon after we spotted it. It was great to see such large and healthy fish on the reefs surrounding Carrie Bow Cay. 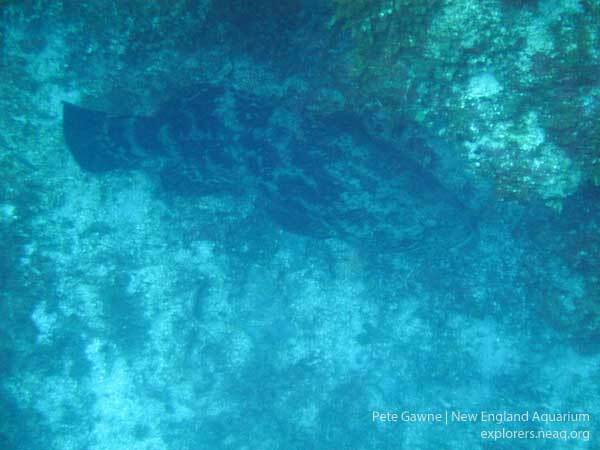 We also noted several large black grouper, dog snapper and tiger grouper. Hopefully we will see more of these large fish as fishing pressure in the region is reduced. Unfortunately that is not a guarantee, and only time will reveal the effectiveness of the protected area.